The basic ideas of investing are to look at stocks as business, use the market’s fluctuations to your advantage, and seek a margin of safety . That’s what Ben Graham taught us. A hundred years from now they will still be the cornerstones of investing. I bet you’ve heard about the 10-year wager Warren Buffett made against a hedge fund manager. If not, you are about to. What did Buffett bet against? Buffett has long been wary of hedge fund fees and has been on the case rather consistently over the years. Here’s Jack Bogle’s account. Basically, after fees Buffett believes hedge funds will underperform index funds. So at the outset of 2008, he bet Ted Seides, CFA, of Protégé Partners $1 million that an S&P index fund would outperform a portfolio of funds over 10 years. Eight years into that bet, Buffett looks to be running away with it. Last weekend at the 2016 Berkshire Hathaway Shareholders Meeting, he once again came out swinging, offering a harsh assessment of hedge funds and their fees. His principal criticism: Fees are often just too high. And his point was not missed on readers of CFA Institute Financial NewsBrief when we polled them for their take on the bet and what the Oracle of Omaha’s potential victory says about active management. Almost 40% of the 1258 respondents agreed with Buffett, that hedge fund fees sabotaged their overall performance. 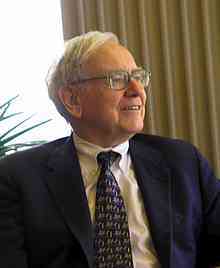 On 1 January 2008, Warren Buffett and Protégé Partners entered into a 10-year bet on which would perform better: an S&P 500 index fund or a portfolio of hedge funds. As of the end of 2015, the S&P was up 65.7% since the bet began, versus 21.9% for the hedge fund portfolio. If Buffett prevails in 2018, what would best describe your view on the active vs. passive management debate? Buffett had no faith in the hedge fund managers’ skills either. Although he considers himself a long-term investor, he is seen as a great stock picker. Yet he showed more confidence in passive investing when he suggested that his wife place her retirement assets in an index fund. According to Bogle, Buffett believes funds of hedge funds dilute the individual manager’s bets and end up as just another way for consultants to charge their clients fees. One in 10 poll participants felt similarly about the outcome of the Buffett-Seides bet, reasoning that the results would be different had a better active portfolio been constructed. Why did Seides decide to challenge Buffett and does he still stand a chance of winning? The second largest cohort of poll respondents (29%) thought the time period chosen for evaluation plays a critical role in determining results. I could not agree more. Although it’s not clear what type of hedge funds went into the portfolio, the fact remains that the performance of different styles of investing varies over time. Seides’s argument is a valid one though. Hedge funds tend to do better when the broader market goes down. But this begs the question: If the hedge fund portfolio fell dramatically during a time when it should have outperformed, aren’t the odds stacked against it in a “normal” time period as well? As for the final result in two years, with no information on the hedge fund portfolio itself, anything is possible, although Buffett is exactly right when he says that the fund of hedge funds structure dampens the chance of outperformance as well as Seides’s chance of winning the bet. What does a Buffett win mean for the business of investing? This is the ultimate question. If Buffett’s ends up winning, does that mean active management is dead? Of the readers who responded to the poll, 17% said no, the bet is just a bet and nothing more. In comparison, only one in twenty said yes. Buffett’s bet on indexing says a lot about what he thinks of the investment profession today. Effective active management is a rare talent and identifying that talent is a challenge too. To those who believe otherwise, Buffett’s winning streak is yet further evidence that they may be far off the mark.